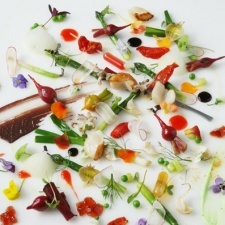 Adhering to a modern fine dining experience, Texture promises high-calibre cuisine. With young owners at the helm, sommelier Xavier Rousset and chef Agnar Sverrison ensure that personality and enterprise are present throughout. Acknowledging their Icelandic roots, seasonal and signature dishes influence the changing daily and a la carte menus. The award-winning, accompanying Champagne bar continues to prove a destination of choice for regulars and tourists in the area.